Browse: Home / POOFITEE v0.0.1 – Linux Scripting “Perfect Owner Only Firewall – Invisible To Everyone Else”. POOFITEE v0.0.1 – Linux Scripting “Perfect Owner Only Firewall – Invisible To Everyone Else”. – At first blush, we thought POOFITEE was operational 2016-09-16, but a few bugs remained until 2016-10-01. After 2016-10-01 this “Original” branch is only expected to receive bug fixes of the ruleset, no installer enhancements. 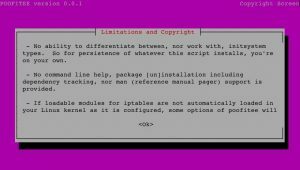 – Tested with Ubuntu server CLI, Linux Mint, Raspberry Pi, and Pine A64 (for which you’ll have to manually load the ipset module for iptables). We expect success with many or most other Linux distros. Future expansion still planned including source code cleanup and screen layout enhancement. 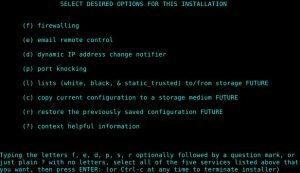 BULLET-PROOF YOUR “OWNER-ACCESS-ONLY” LINUX SERVER FROM HACKERS WITH IPTABLES AND ROBUST SHELL SCRIPTING. Bare minimum packages and whitelist-only access to your Linux home surveillance &/or automation system such as NEST or WeMo, or your WiFi router (if port or other forwarding, or external management are in use). ENTERPRISES: Let POOFITEE create the blacklists you need! Run POOFITEE on an external ip address that should have no incoming traffic, then share with your firewalls the ipset blacklist it creates. * Only you know how to get your remote IP address permitted by whitelist to become an authorized source address. This will be by port knocking or email. Source addresses not whitelisted are ignored as effectively as them being explicitly blacklisted. All 65536 of your ports are invisible to them. * Only you know the IP address of your system – it’s emailed to you fresh every time your systems gets it changed by DHCP. * You will be notified immediately by email/text of any and all source addresses that your system places on its whitelist or removes from its blacklist. * You would still continue to use passwords and ssh keys as is prudent even for systems without firewall protection. 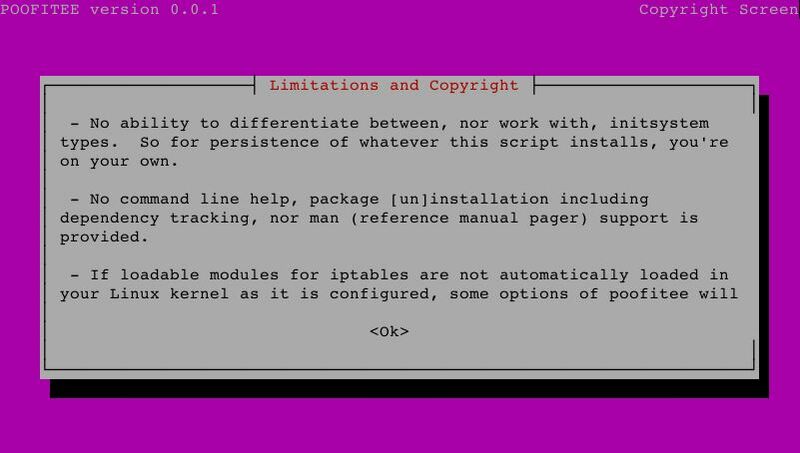 All this PLUS the simplicity and robustness inherent in a bare iptables and scripting-only Linux solution, PLUS the option of building an explicit blacklist of first-time hacking packets in real-time for your reference and curiosity, if your system has enough RAM. 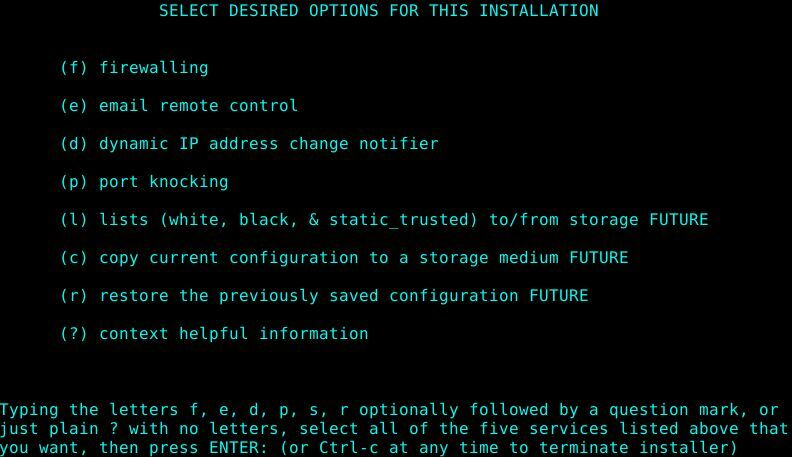 ← sqlmap v1.0.10 – Automatic SQL injection and database takeover tool.